Micro Fleece Quilted Furniture Cover Protector from Collections Etc. 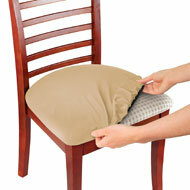 Protect your furniture from wear and tear, pet hair and more with these super soft, micro fleece furniture covers. Handy pockets on the arm rests are perfect for holding reading materials, glasses, remote controls and more. Polyester; imported. Arm Length: 21"L. Chair (Seat: 23"W, Back: 39"H). Recliner (Seat: 23"W, Back: 49"H). 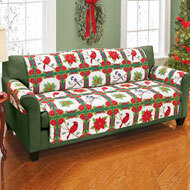 Loveseat (Seat: 46"W, Back: 39"H). Sofa (Seat: 68"W, Back: 39"H). Colors available in Burgundy, Chocolate or Slate Gray. I will be using this product to cover my recliners to protect them from my cat and us if we spill anything it will get on these and I can easily pop them in the washing machine! I do have a suggestion or two; I do wish there was something to tuck them into the chair attached to the arms and the back part and attach something to the top (Perhaps an elastic) to keep that from slipping off the chairs! - cat lady, Saco, Me. I WOULD BUY THESE AGAIN. GOOD QUALITY. 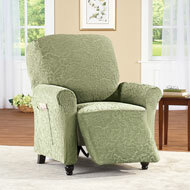 Easy to slip on chair, easy to clean, come out looking like new - Hislamb, Chickamauga Ga.
Great product. This is my second order. It looks like very expensive cover. color is great. I am going to order another for my other sofa. - Pat, Oh. great cushion protection that looks nice too. changed the whole look of my couch. - none, st.louis,mo. Great produce for the money! yes I DID buy this product again! 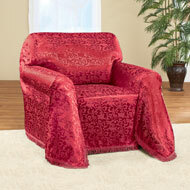 I love that it keeps my chair clean - Sandra, S.C. This cover looks nice on our recliner. We lie the color, it is soft and nice to set on.  I would highly recommend this product.. - Grannieb, South Jordan Utah. Great product I we buy it again. It fits just right and I love the feel. No because I don't need another one. These are great. They stay in place well. Frustrated! - Bev M., Carmichael, CA. Little small, doesn't fit right. Do not buy if you plan on using it. If you are looking for burgundy, don't buy!